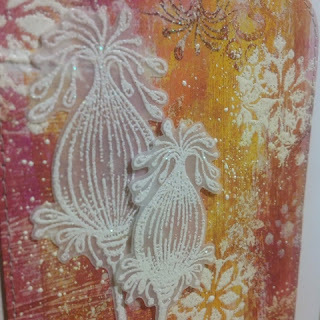 More about the background here, I used Lavinia stamps and stamped with Versamagic inks, mostly embossed with glittery kaleidoskope powder. 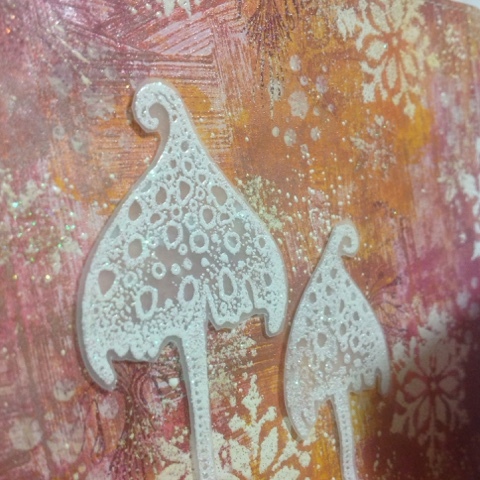 The snowflakes have been done with a stencil, an embossing dabber and white embossing powder. 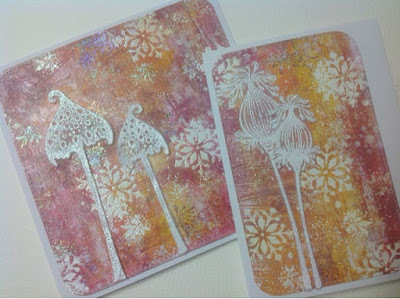 I also sprinkled some Stampendous Chunky White around. I stamped the plants on vellum with Versamark, heat embossed with WOW Sparkling Snow, fussy cut and adhered with small strips cut from low foam tape.